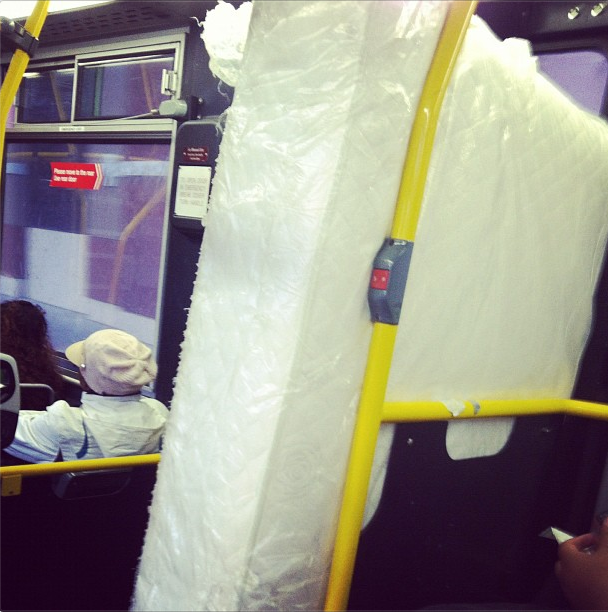 More proof that we take Muni very seriously here in San Francisco as an absolutely necessary way to get from point A to point B, even when you need to move a mattress in the process. I was on the 33 bus two weeks ago and someone had left their wheelchair aboard the bus and exited. How is it possible to forget your wheelchair on the bus, or anywhere, for that matter?